Embroidery Class: Tyler's at it again! In recent decades a growing community of artists have been engaging embroidery as a drawing tool. Students in this course will learn to master a handful of basic embroidery techniques, and become acquainted with a variety of embroidery materials and tools. 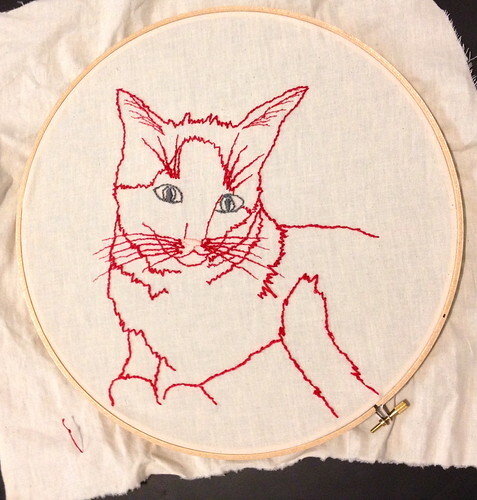 In addition, students of Drawing With Embroidery will learn how to strengthen their own drawing skills and translate them to fiber, and will be encouraged to experiment with non-traditional embroidery media and methods, such as incorporating up-cycled fibers and textiles. Each participant will leave this class with unique and personalized works that celebrate the art of drawing with embroidery. Tyler Mackie is a long time fav customer of ours and is sooooo talented! You can see the PNCA site here and sign up. And remember we offer a supply discount for those enrolled in the class. Please be sure to let us know you’re taking the class.